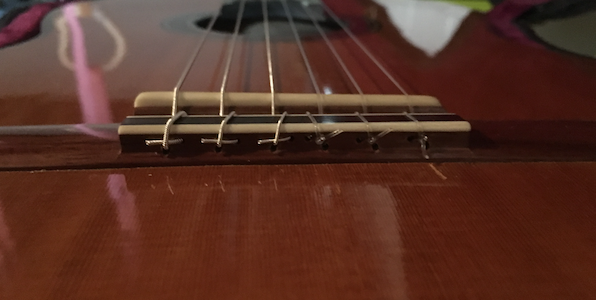 Classical Guitar » Musical Interpretation and Musicianship » When Does Interpretation Start? When does one begin to develop an interpretation of a piece? The common wisdom is that you learn to play it first, then add in the “musical stuff” later. That’s a flawed conception. It treats a piece as two separate entities: technique and physical movements vs. musical elements and interpretation. The way we execute a piece physically (technique) is a direct product of interpretation. Playing a diminuendo requires a different sort of technique that just playing at even volume. Forte feels different in the fingers than piano. So in a sense “learning” a peice first, then adding musical elements is like learning two sets of movements. And considering that most guitarists only interpret as an afterthought to finger wiggling, we’re left with a majority of our practice time devoted to a dry so called “un-interpreted**” version of a piece that comes out on stage because we spent more time practicing that way. Practice and incorporate musical elements from the start of working a piece, and ingrain those movements from day one. Of course you’ll change things along the way and be able to do more interpretive elements, but it can’t hurt to get a head start. **There’s no such thing as uninterpreted music. Even the lack of making a choice about a musical element is making a choice about the element, and it still results in an “interpretation” that comes out of the player. However, it’s much more exciting to hear a musician’s personal take on what legato and staccato means to them. Even slight variations in tempos described as Adante or Presto are interesting to witness and hear. This is really interesting. It has to do with what kind of feeling we put into a piece when playing. Is there any class in conservatories that teach this specifically? You’d get it from a teacher, not necessarily a class. Though there might be some things in performance practice classes.